Athena used to sleep in till around 8am but for about four or five months now she’s been getting up between 6am and 6.30am. When she wakes up she comes bounding into our room and more often than not wakes Arlo up, and once he’s up there is no getting him back to sleep! 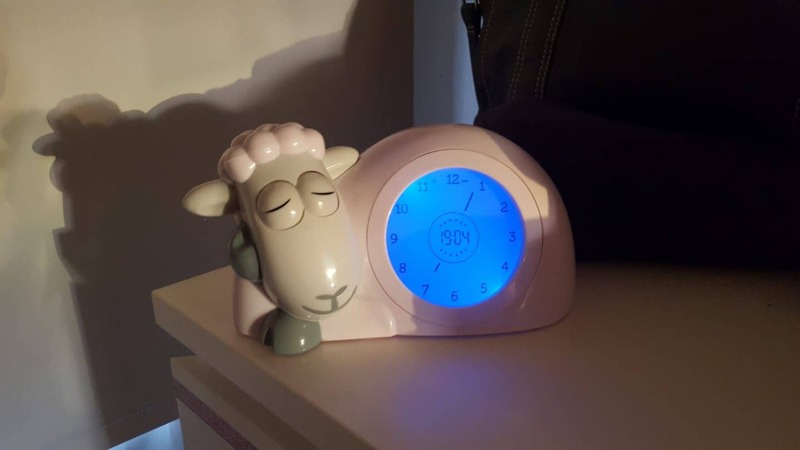 When we were offered a Sam the Lamb sleep trainer clock I said yes right away, anything to gain back a precious hour of the day for glorious sleep! To be honest I don’t mind if Athena stays in her room and plays or flicks through a book for the extra time as she gets plenty of sleep as she has about 11 hours overnight and a two hour nap in the day time most days. The idea is that Sam the sleep trainer counts down for half an hour to the ‘get up time’ (which you set to be specific to your schedule) and has a blue light in this half an hour and then he turns green and his eyes ping open when it is okay to get up! I will say that the instructions and method of setting the wake up time is a bit tricky but once you’ve done it a few times it’s much easier. There are also videos on the Cheeky Rascals website, and once it’s set if you’re using the same wake up time daily it’s a doddle, two button presses. You can adjust brightness settings, which is good for us as Athena sleeps in a pitch black room so when the ‘get ready to get up’ light comes on we can set it to not be too bright as to wake her up if she is still sleeping. There is an option to keep the dark blue light on all night for children who’d like a bit of a night light. You can set a sound alarm to go off anytime up to 60 minutes after his eyes open, good for if you child is extra sleepy and might sleep through the eyes opening but does need to be up by a certain time (we can dream!) There are a few choices of sound, we like the birds! There is a proper clock face displayed at all times so you can start to teach your child about the time, it has hour and minute hands with the numbers around the dial. Sam works on batteries as well as mains, so you can take him away if you’re travelling and he’ll remember his settings in the event of a power failure overnight! You can also set nap times in the same method, although we don’t use this function as quite often my kiddo will sleep for 3 hours or more and I’d not want to interrupt that! Most of all I love that 9 times out of 10 Athena will stay in bed happily until 7am (by which point I am either up or sneak out from under the baby for a solo cuppa) and sometimes later as she’s said “I woke up but the sheep was still sleeping so I went back to sleep” HOORAY! 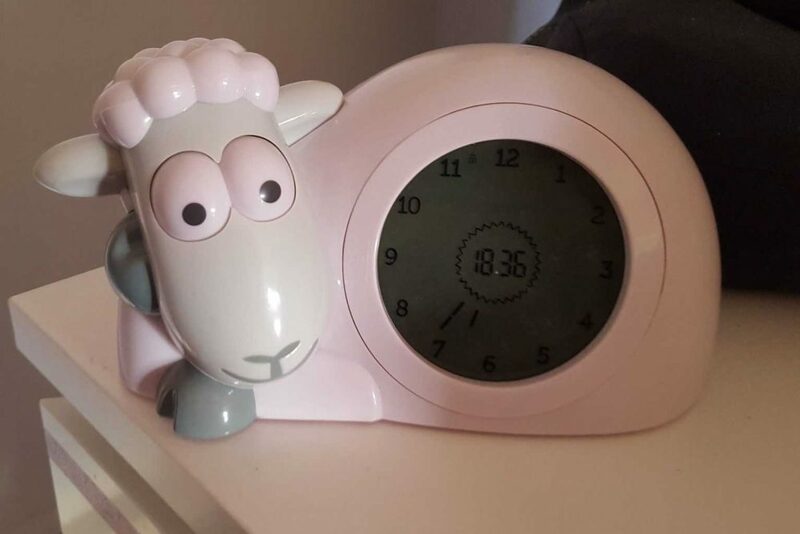 You can buy Sam the Lamb from Cheeky Rascals, along with rest of the Zazu range; Reading Lights, Night Lights and Musical soft toy comforters. We were sent this item for the purpose of this review, all words, opinions and extra hours of sleep are my own!